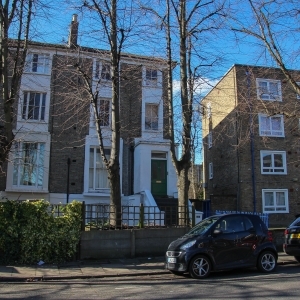 A bright and spacious one bedroom second floor flat converted from attractive period corner house quietly and conveniently located in leafy residential crescent off Camden Road within easy reach of Brecknock Road, Holloway Road and Kentish Town's multiple shopping and transport facilities. Gas centrally heated. Good condition throughout. Pleasant outlook. All rooms are accessed from 18' inner hallway. 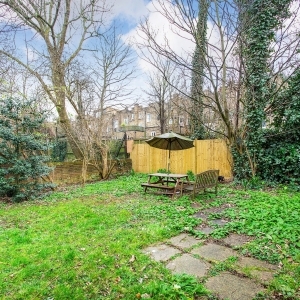 Use of large rear garden. Chain free. Share of Freehold. 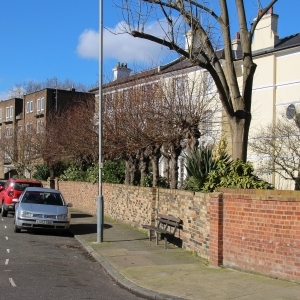 This is an extremely popular and appealing residential street. 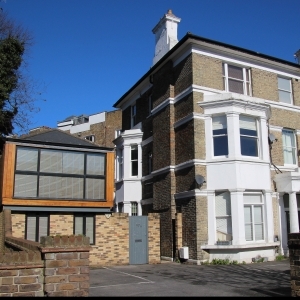 One, two, and three bedroomed flats regularly crop up for sale on Camden Bus books, and when they do, we recommend you check them out as we know you’ll be impressed by their mature gardens and well-maintained communal areas. 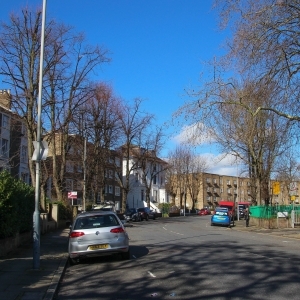 The street forms a broad, sweeping curve flanked by an abundance of sycamore, cherry and lime trees, and enjoys a pleasant mixture of architectural styles. 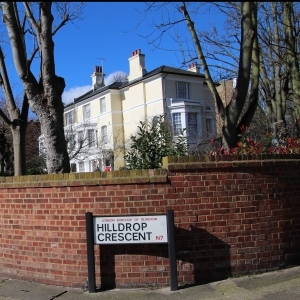 Built in the 1870s, the street was originally lined with uniform Victorian villas. Some of these still exist, in paired semis with steps up to the front door or boasting grand porticoed entrances. Predominantly now, though, the architecture is modern local authority, with four storey blocks built of light, London stock brick. 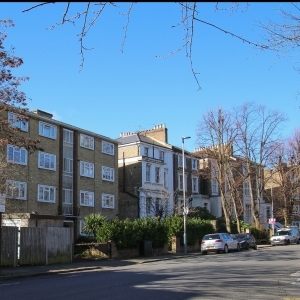 Behind the blocks are extensive, well-managed communal gardens. 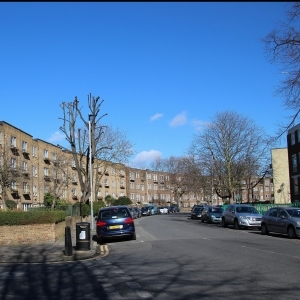 The blocks were intensively redeveloped in 1971 and offer apartments and maisonettes with mature front gardens. 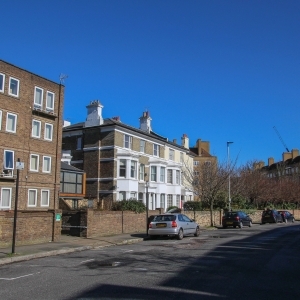 The gardens, and the fact there is very little vehicle traffic, add to the appeal of this popular street and enhance its residential feel. 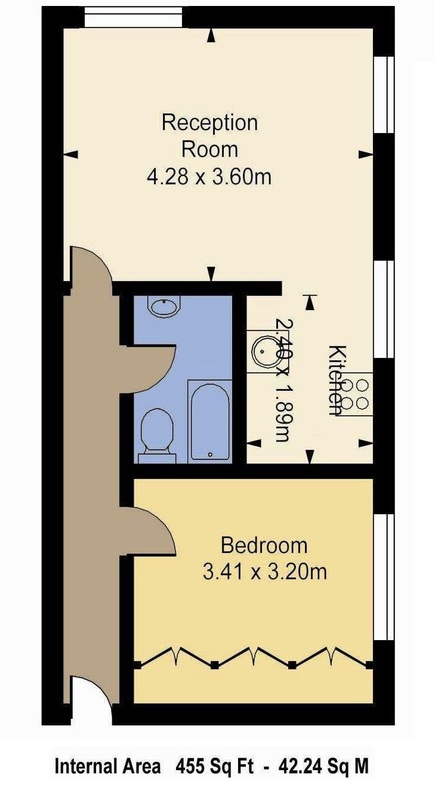 And all the amenities you need are just moments away in Brecknock Road, where you’ll find an abundance of shops, restaurants and leisure facilities.